Created By: Department of the Interior. National Park Service (II). Region VI, National Capital Region. 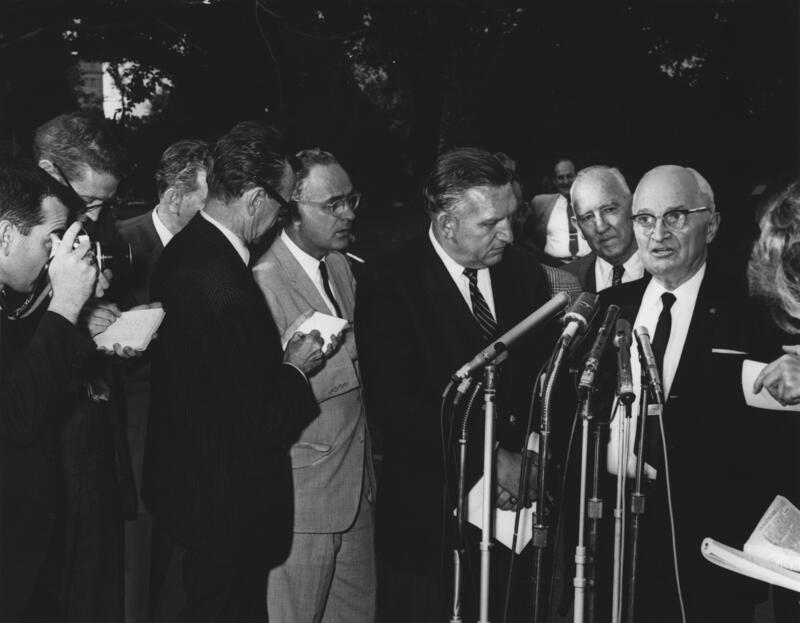 Scope and Content Note: In this photograph, former President Harry S. Truman (far right) speaks with members of the press following a meeting with President John F. Kennedy at the White House, Washington, D.C.